Time got away from me this week, so rather than leave you with a blog post full of illuminating text, I'm going to leave you with a blog post full of illuminating images. 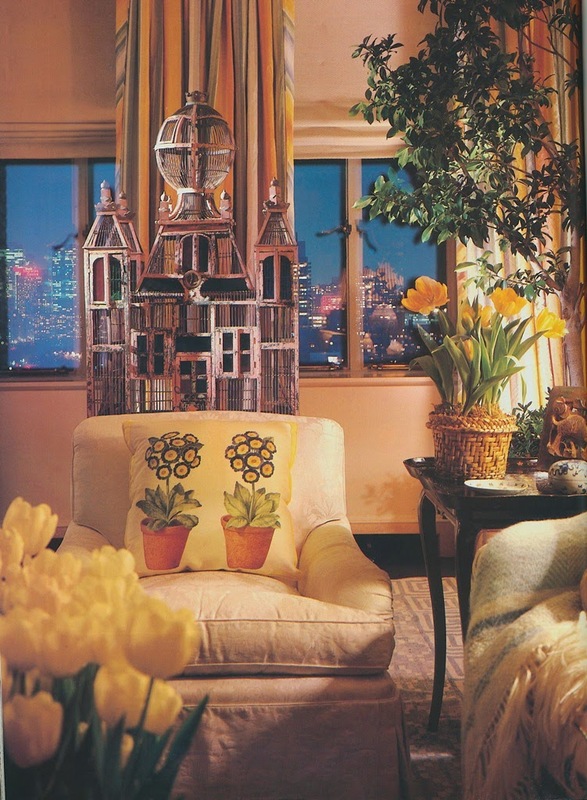 The photos seen here, which appeared in the September 1984 issue of Architectural Digest, capture a Manhattan apartment that was decorated by Mario Buatta. Like me, you might at first be taken with the apartment's overall warmth and coziness, which feels like cashmere on the eyes. But please don't overlook the details. Filled with porcelain, wicker cachepots, Chinese garden stools, wall brackets, brass occasional tables, and needlepoint pillows, this apartment is a case study in good old-fashioned, classic decorating, which really isn't old-fashioned at all. 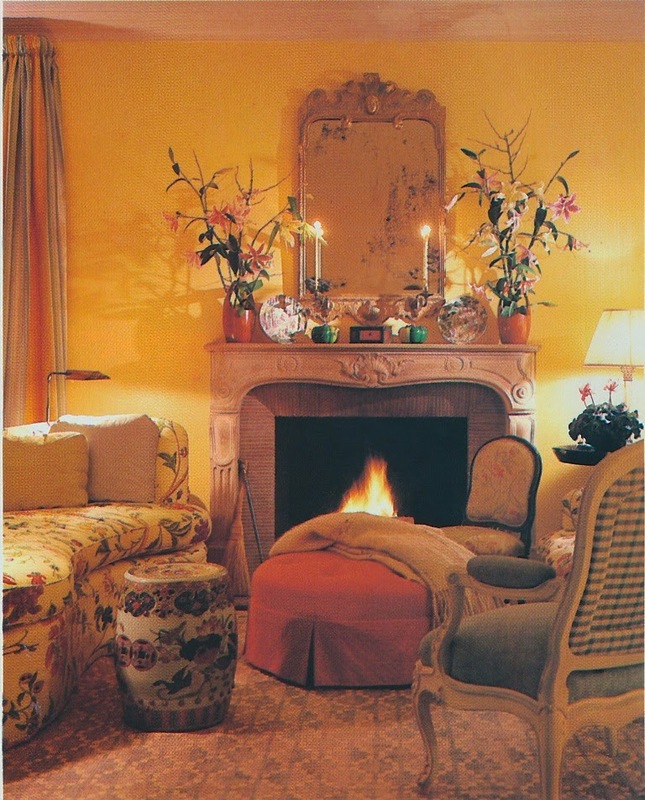 All photos from Architectural Digest, September 1984, Peter Vitale photographer. He called me yesterday and we chatted for an hour! Mario is a genius, no doubt about it. All luxe and timeless. 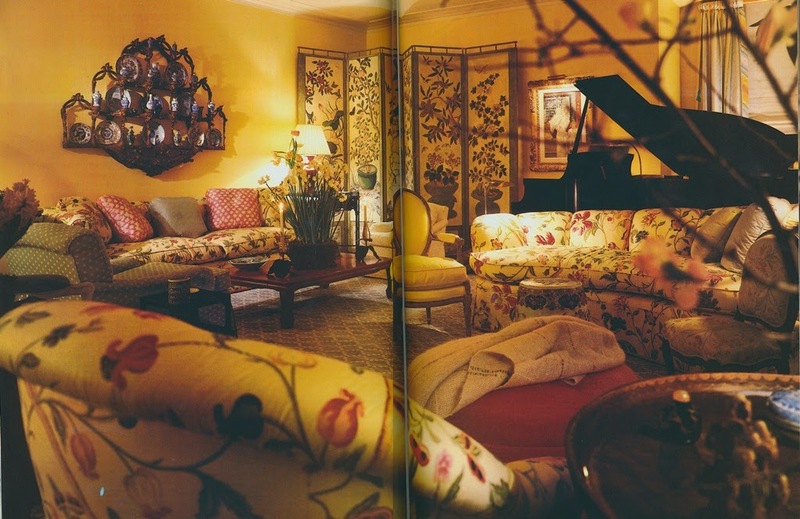 That first image did it for me with the needlepoint floral pillow, the perfect touch with the stunning birdcage behind! Don't you just love that floral pillow?! primroses by the great George Oakes of Colefax & Fowler. I assumed it was one of Mr. Oakes's hand-painted pillows. I know that Mario used them in a number of his projects. Wouldn't you kill for one of George Oake's pillows! Did I dream it; or does his daughter paint some? I'm googling right now!!! Loved "cashmere on the eyes". I think Mario's brain should be MRI'd to find out just how it works. Love this room. Good idea. 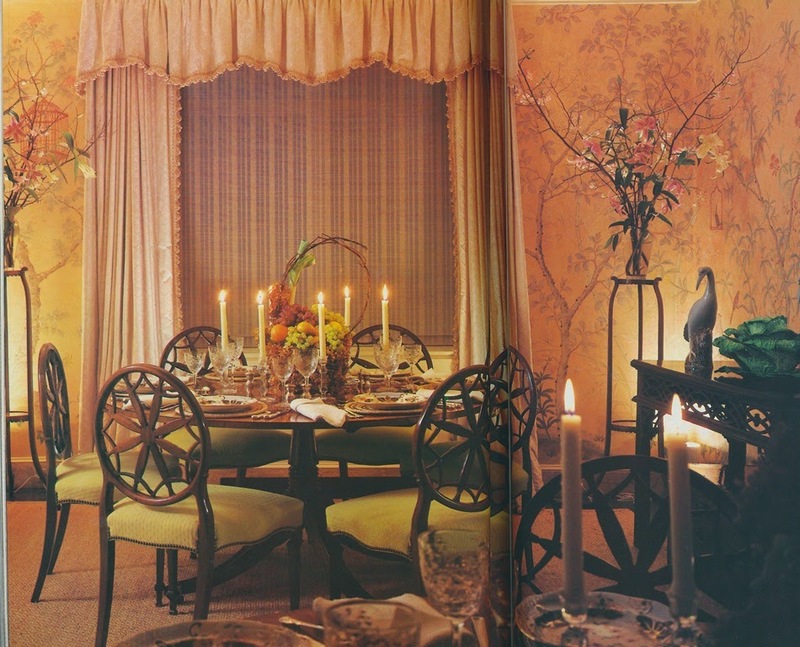 He makes it look so effortless, yet I know that decorating a room in this manner takes great skill and planning. I saved the clipping of the red room and have used it as the inspiration for multiple red sitting rooms in my life. Thanks for reminding me of how beautiful the rest of the space was. 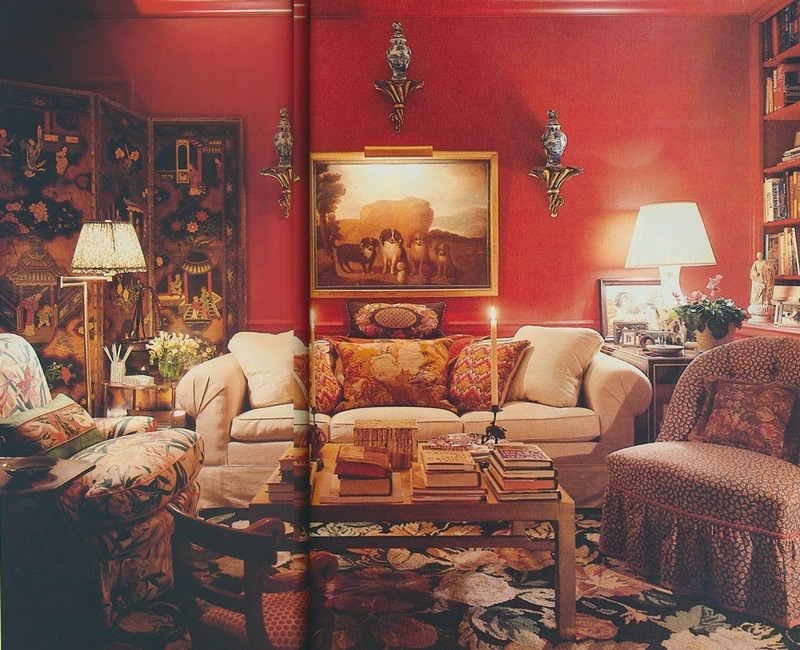 Hands down, the red sitting room is one of the most captivating that I have ever seen.